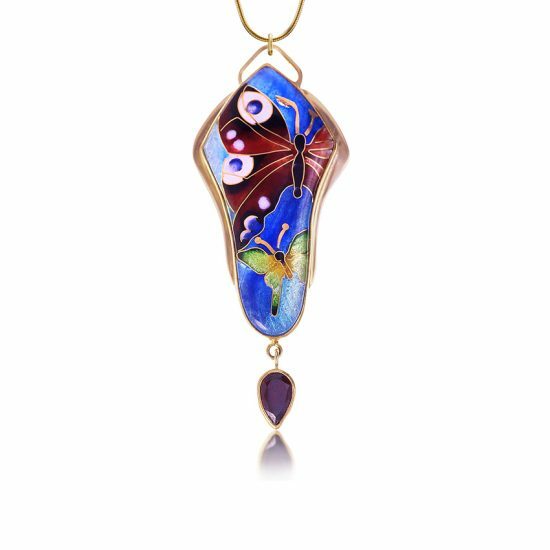 Cloisonne, a fine art of Enamel Jewelry, is created through an ancient process of combining 24k gold wire with finely ground enamels over a base of pure silver. 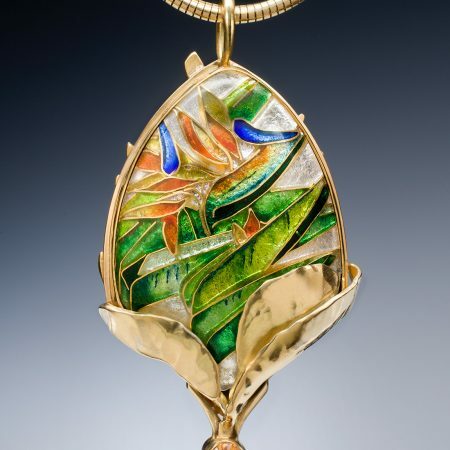 The enamel cloisonne jewel endures repeated firings after skillful placement of ribbons of gold wiring that form the image and layers of enamels are laid down to achieve this look of pristine depth and beauty. 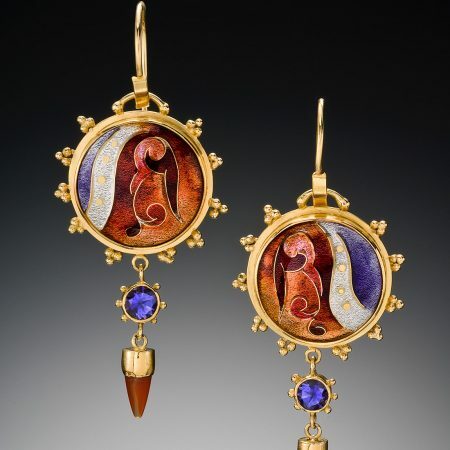 Once the firing is complete, the Cloisonne Enamel Jewelry is set in unique jewelry designs of 18k gold and precious stones. My collection combines classical techniques with contemporary original designs for today’s client. 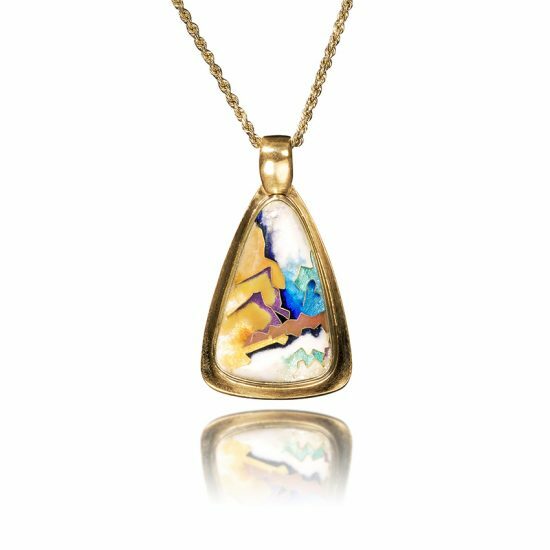 High karat metals of silver and gold are designed to receive beautiful colors of enamel and precious stones, to create an eye-catching jewel of lasting quality. 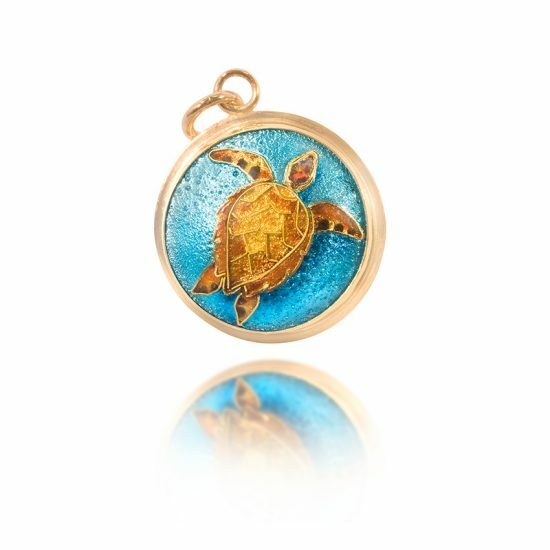 I believe jewelry is an expression of one's personality, and I strive to create a unique piece of art that the client will forever enjoy. Learn more about the piece on the image here. 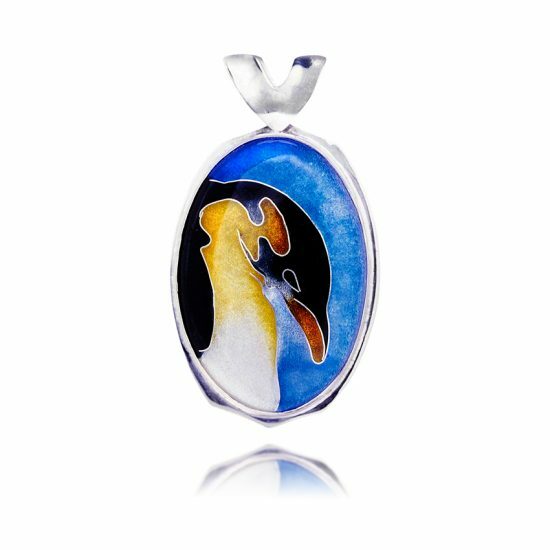 Getting to know the process of creating cloisonne jewelry is not an easy thing to do. 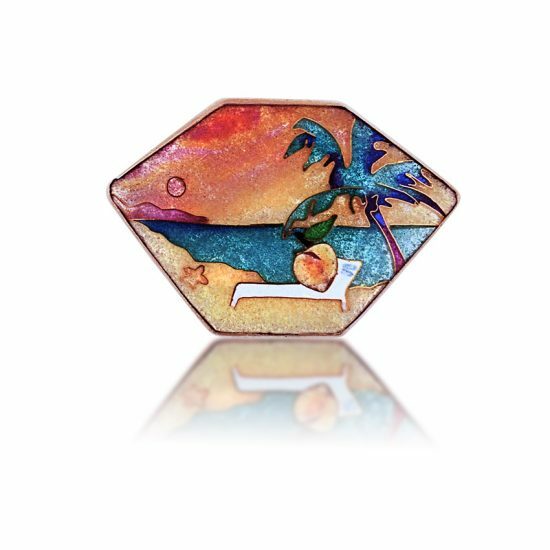 So much history behind it, artistic influence and creativity of an individual all combined make cloisonne such an exciting art skill to develop. I always believe that best way to learn is by example. 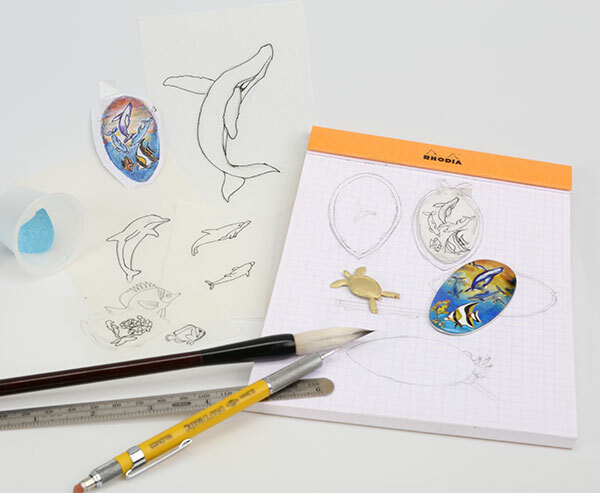 So follow me as I go from sketches to the final unique gold jewelry piece from my OCEAN collection. 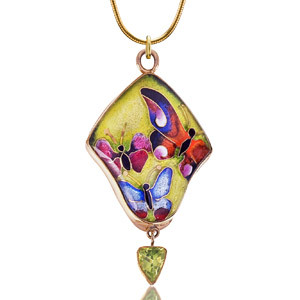 Custom Cloisonne Jewelry, as well as Custom Enamel Jewelry, is a delight to me. Contact me if you want to get one of a kind gold jewelry piece of your very own inspired personal adornment!